Everything is a matter of perspective in life isn’t it? How we choose (for it is always a choice) to perceive or react to any given situation then leads to the (self-induced) creation of either negative or positive emotion within us. I haven’t actually read any of Richard Carlson’s books but I own and have read enough self-help books to know the basic drill! I love the simplicity of this quote- essentially if it’s not genuinely a big deal, take a deep breath, let it go and move on to more positive pastures. 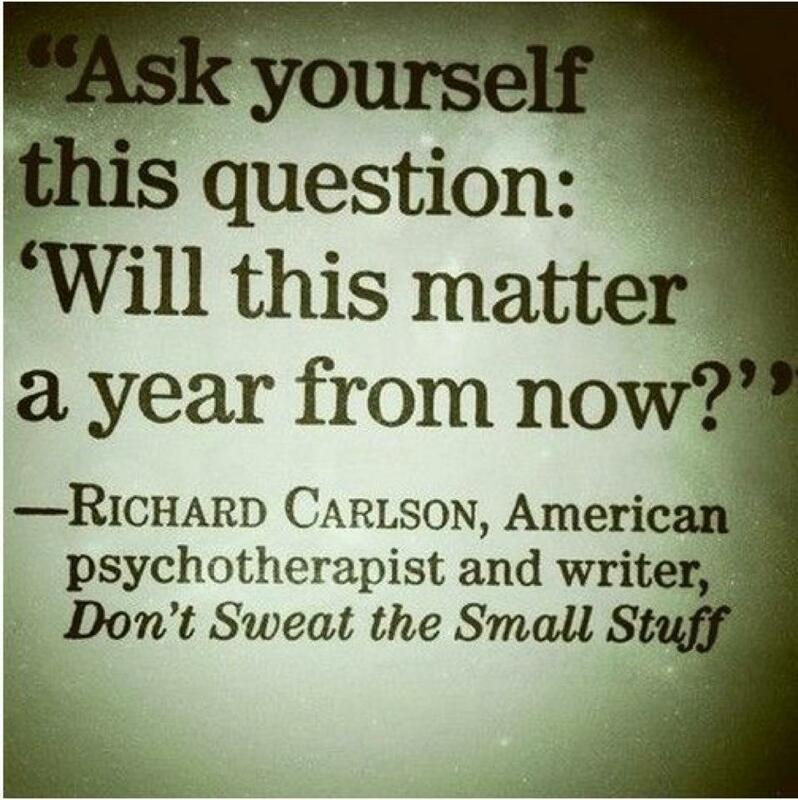 In my case I would say this would apply to situations where someone might have done something to annoy me and I can’t let it go, or something unpleasant happened in my day and I cling onto the negativity but only to my own detriment…I’m no expert at “not sweating the small stuff” as I have a tendency to cling on to the negative emotions until they fade naturally – but I’ll try and remember this quote next time something that is ultimately trivial is bugging me. Life’s just too short isn’t it to waste any precious time on things that simply don’t matter in the long run…. Always a great reminder. Thank you! Its so true, its so important to let go. I find that from experience, someone might give you a negative comment, or say something we don’t like; but we tend to punish ourselves by repeating in our mind whats being said many many more times!! Instead of letting it go – ignore it !!! Ha, this post comes at a perfect time, as I am currently busy fretting over stuff which really will not matter in a year’s time! You’re welcome! I find with these quotes you need them permanently tattooed somewhere so as to always remember! I have put this on my iphone background so whenever I switch my phone on it’s there- reminding me….